The CSA really brought in the big guns for the last week of my winter share, having failed to break my spirit with the Great Cabbage Deluge of ’14. I mean, the first thing I noticed about my new fiddleheads was that the bag they came in had a label with what I’ll call a strident warning about the need to cook them. Combine that with the extra warning in that week’s email and I would go so far as to call it “shrill”. Bottom line: they really really advise against eating fiddleheads raw. Apparently there is a risk of some kind of gastrointestinal unpleasantness or associated microbial invasion if they are consumed uncooked. But hey, the same applies to chicken, and I eat that all the time, so why not. Any rising fears were also allayed somewhat by an unsolicited endorsement I got from a man who was buying some at the market. Apparently this dude waits for fiddleheads to show up the way I anticipate fresh strawberries. I seized the opportunity and asked him how he prepares them. I got a short tutorial on preparation of the little guys, followed by the warning, “But you shouldn’t eat too many of them. And you really do want to cook them thoroughly.” Uh huh. I thanked him for his input, still wondering why people eat these things. And to think back in November I was worried about rutabagas. Please. Rutabagas are user-friendly and versatile compared to fiddleheads. And they aren’t trying to kill you. Okay, maybe fiddleheads aren’t actually plotting my demise, but they were starting to sound less like chicken and more like the pufferfish of the plant kingdom. You know the special “fugu” sushi made with the one tiny part of a pufferfish that isn’t saturated with tetrodotoxin? The sushi where there is a decent chance of being poisoned by it if the chef didn’t hold his breath while cutting and therefore cut one millimeter to the left? Seriously. Check out the diagram below, which shows the one safe piece amongst all the toxic insanity that is a puffer fish. Seriously. 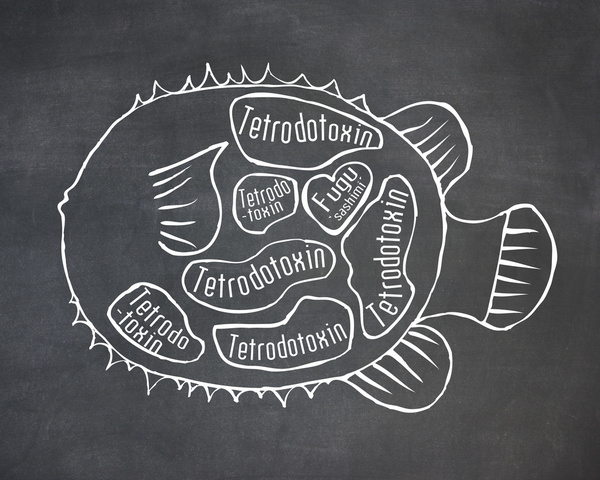 How they found the safe part to eat as “fugu” remains a mystery. This is another one of those items I would have just declared “inedible” and moved on. Ever wonder how they figured out what exactly was the one safely edible part? That’s some high-stakes trial and error. Pufferfish roulette, if you will. But I digress. Let’s get back to the fiddleheads at hand. Apparently, step one is to stop playing with them. That will take about 20 minutes, so add that into the prep time. 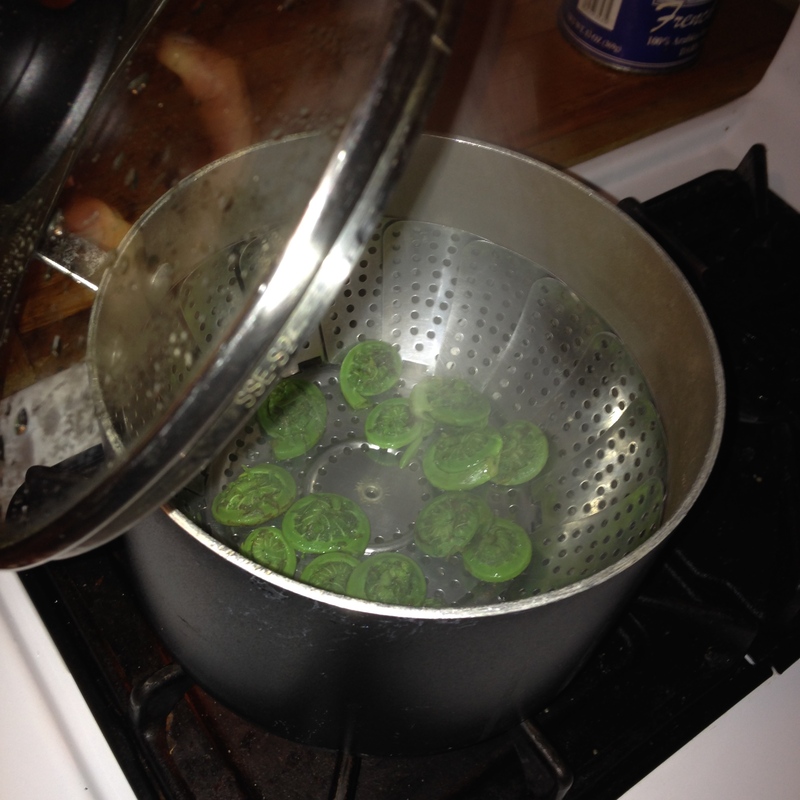 Next, rinse the fiddleheads a few times in cold water. Now, cooking options seem to be steaming, sautéing, and roasting. I was tempted to do all three, but that seemed like overkill, so I decided to steam them for five minutes, them sauté them with some really potent garlic I picked up at Russo’s this week. Precooking. I would much rather overcook than undercook these suckers. There is no al dente option here. All enthusiasm is genuine. No actors were used in this portrayal. 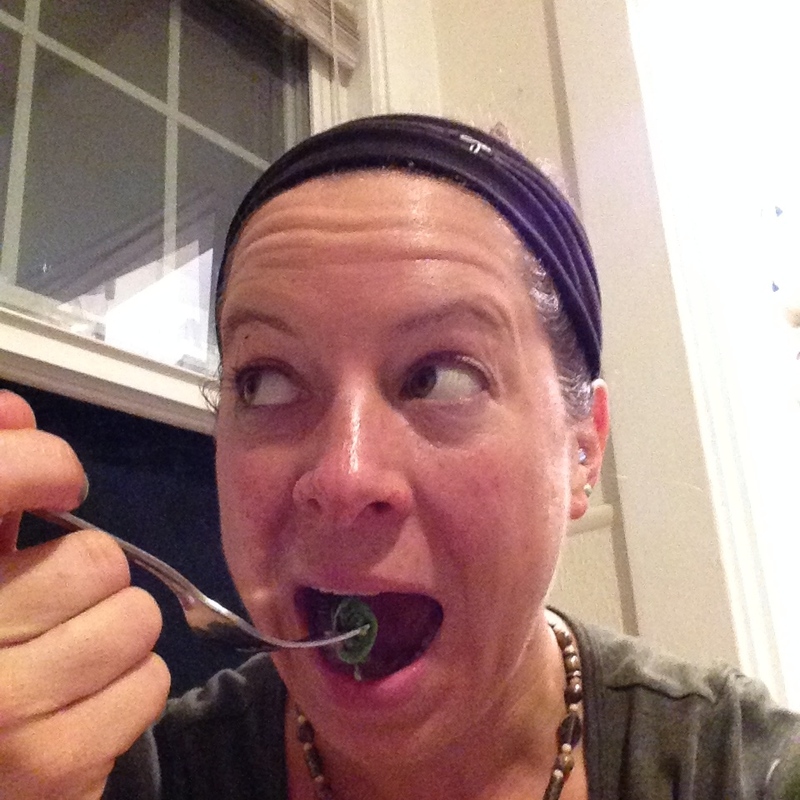 Okay, fiddleheads actually taste pretty good, not unlike asparagus. Nice crunch to them. Could definitely eat a few of these, but I remembered the fellow at the market saying not to eat too many, and the phrase “food-borne illness” kept popping into my head, so I had three. My roommate Shae had one. We’re both fine, so I guess “too many” is at least four fiddleheads. Possibly the second or third (and final) fiddlehead. This may constitute a fiddlehead binge. 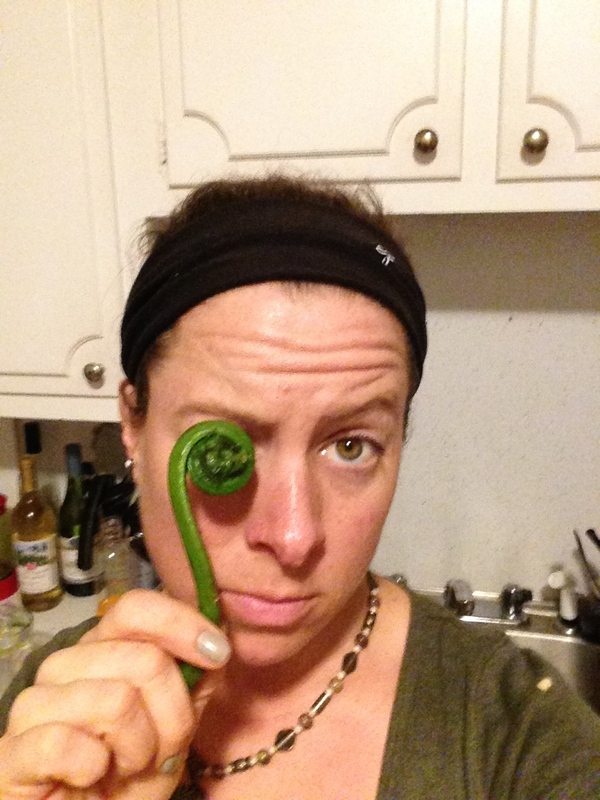 I honestly can’t say, still unclear on acceptable amounts of fiddleheads in one sitting. So, will I seek out fiddleheads and treat them as a traditionally-foraged delicacy? Nope. 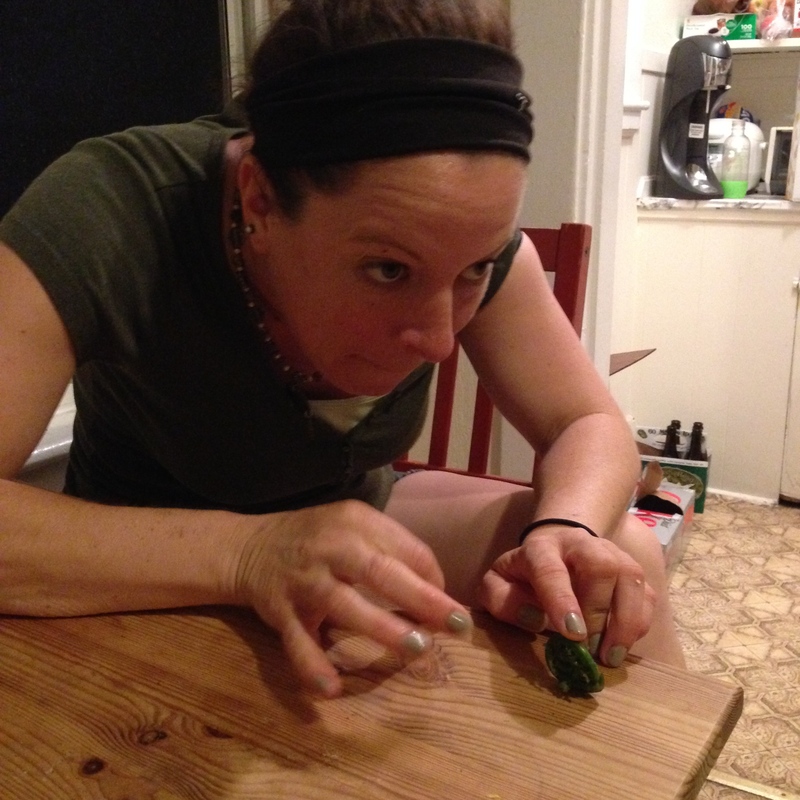 Will I start a one-woman campaign to eradicate some sort fiddlehead-pufferfish-sushi threat from the tables of unsuspecting families everywhere? Nope. Do I know what to do with them when they pop up again next spring? Yep! 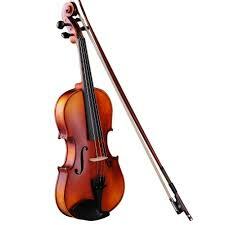 PS, the third question you may have been asking yourself could very well be, “Why are these things called fiddleheads?” Well, it turns out they actually bear a striking resemblance to the head of a fiddle. Either way, it’s just a good word. Fiddleheads. Say it with me. Fiddleheads, fiddleheads, fiddleheads. 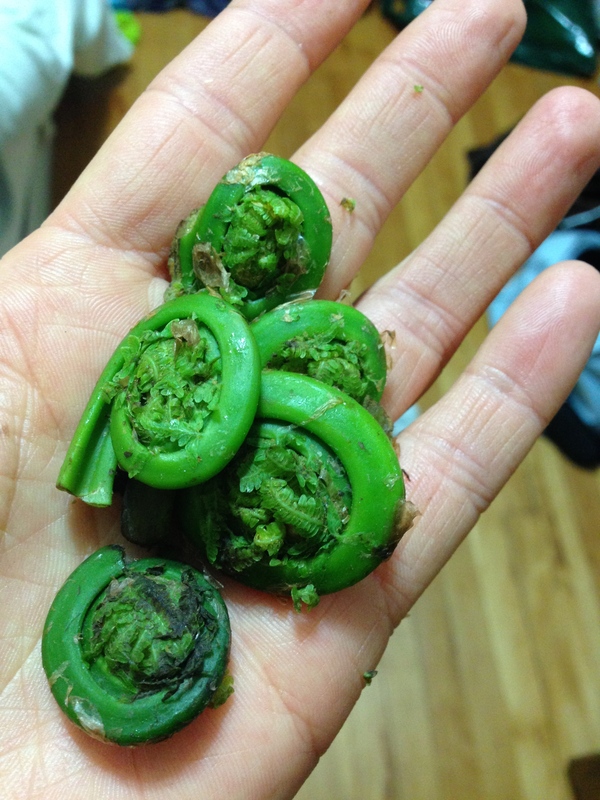 Fiddleheads. Okay that’s probably enough. 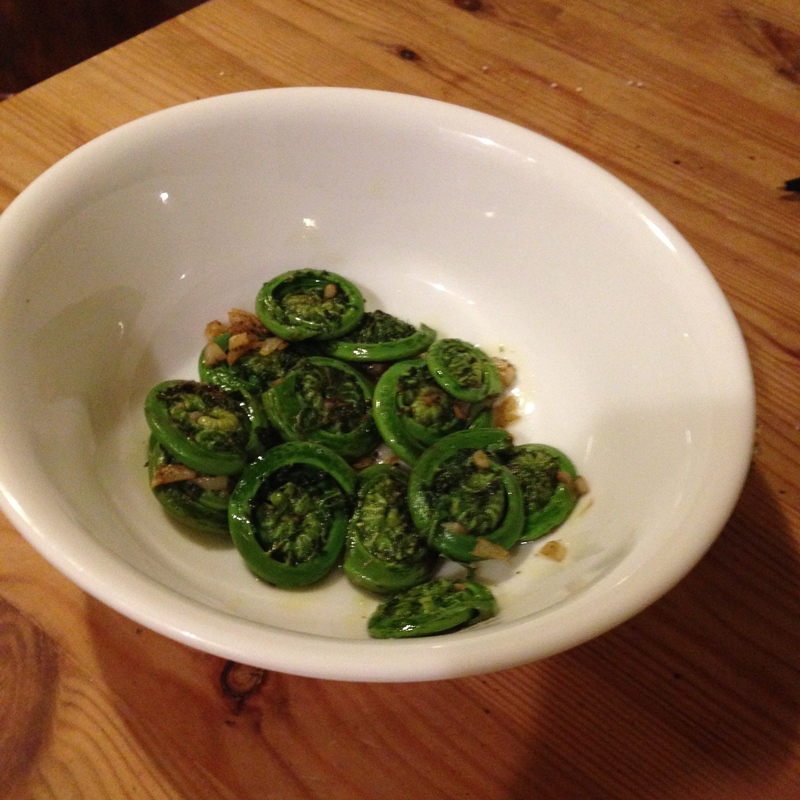 Fiddleheads. This entry was tagged CSA, fiddleheads, fugu. Bookmark the permalink. 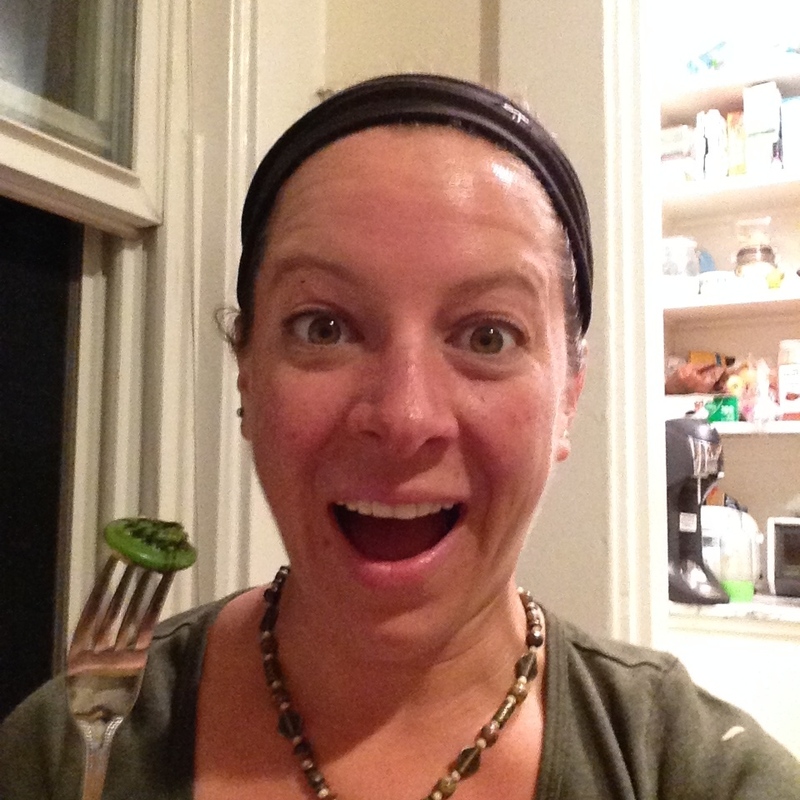 Fiddleheads, yes! I was describing something to a woman the other day and said bare with me, but it looks like a fern when it just starts to unfurl, yes, a fiddlehead! Can’t wait to see if they are at the farmers market. Would be interesting to hear if they have them, partly bc it seems like the “season” is quite short, but also because they really are foraged. One girl I know who once worked at a restaurant in a little town in vermont told me that they would have them whenever “a couple big guys would show up with plastic shopping bags full of the things they had gathered from the fields nearby”. In a world of big farms and hybrid cultivated everything, it’s a pretty neat culinary relic!